Care Packages for Soldiers: Shop During Amazon's Prime Day and Support Our Troops! Shop During Amazon's Prime Day and Support Our Troops! Today is Prime Day! 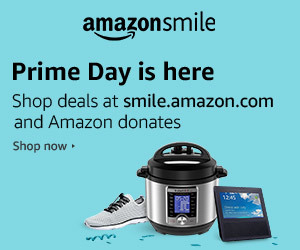 Shop Prime Day deals today through July 17 at smile.amazon.com and Amazon will donate to Airborne Angel Cadets.